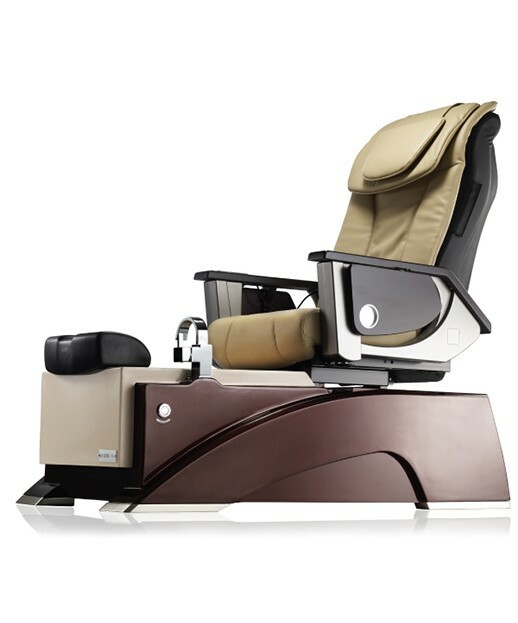 The Bravo LE Pedicure chair features full Shiatsu back massage, integrated manicure trays and comfortable pivoting arms. This chair features a beautiful glass bowl that is resistant to cracks, stains, and scratches. 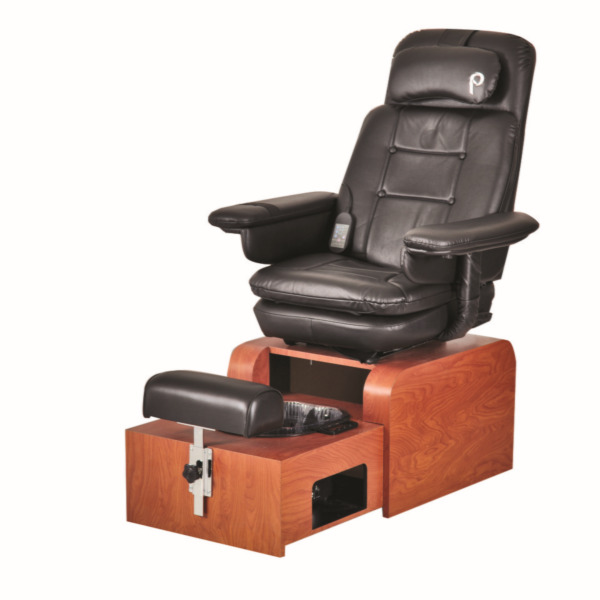 This Pedicure Chair features an electronically controlled 4-way chair top with full Shiatsu Massage for extreme relaxation and comfort. 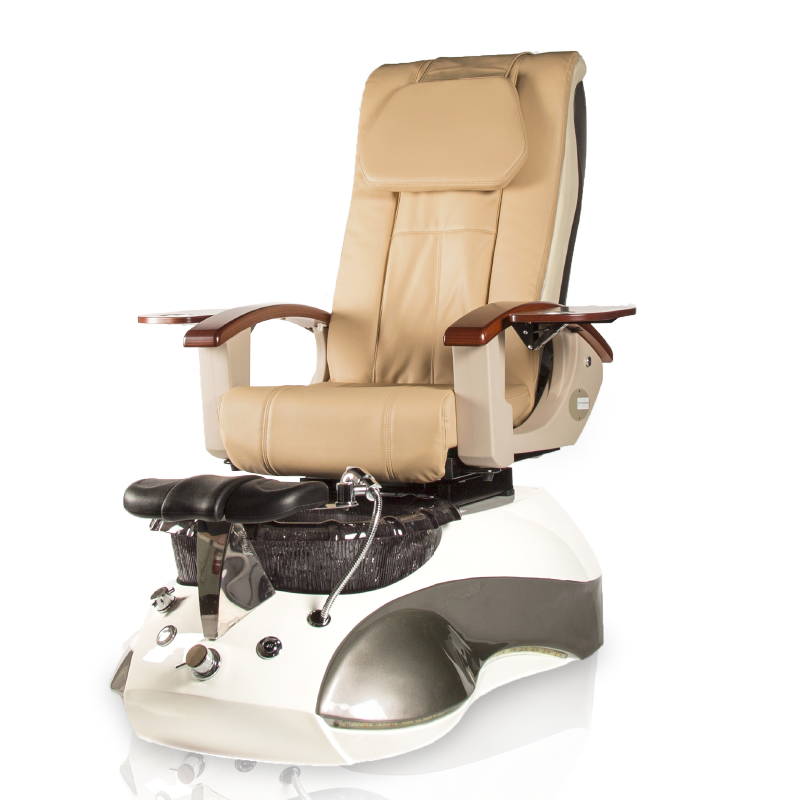 The Echo LE Pedicure Chair also comes complete with whisper quiet magnetic jets creating a peaceful atmosphere for your clients. 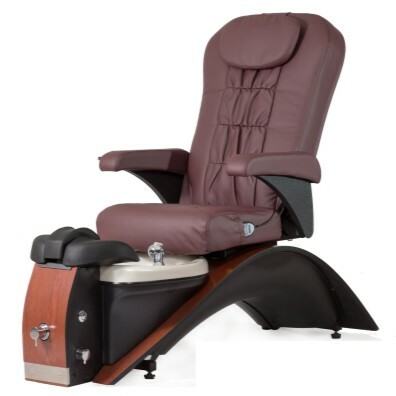 This Pedicure Chair is a smart combination of style, luxury and dependability at an affordable price.The Echo SE features a Vibra-Massage & Heating chair top for your client's relaxation and comfort. The pearlescent basin features No-Pipe technology that creates an intense whirlpool foot massage with compatible tub liners available. Made in the USA. Built to last for many years, the Maestro Pedicure Spa is the best pedicure spa available. It features a swivel chair top with integrated lumbar support and vibration massage with heat. It's steel frame design provides extra support. The Maestro simply has the toughest, most durable basin available. Custom finishes available upon request. Made in the USA. The Continuum Pedicute Portable Pedi Spa is designed with all the features and it is portable making it perfect for any space saving spa. The Pedicute is designed for a performing a pedicure just about anywhere. 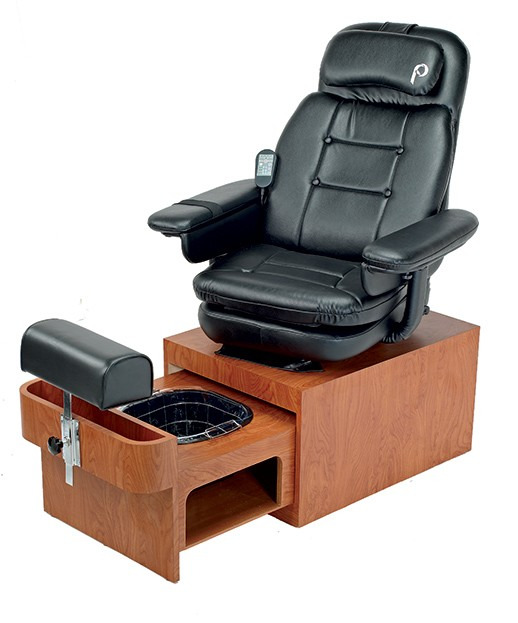 Made in the USA, the Continuum Simplicity LE Pedicure Spa is a chair that requires no plumbing or installation. 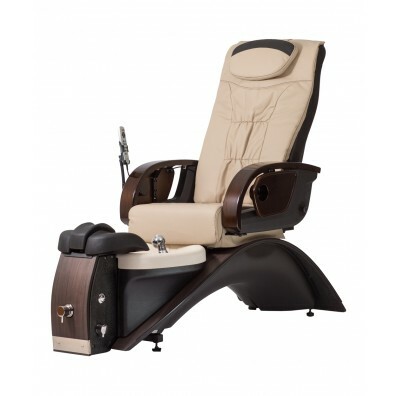 It features lightweight removable tub liner system, adjustable footrest, three levels of vibrating water and heat for a foot massage, and a shiatsu back massage. 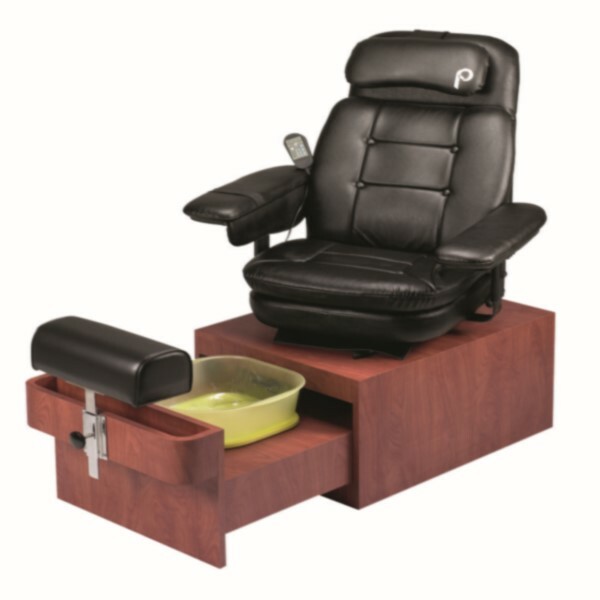 American made Simplicity SE Pedicure Spa features a lightweight removable tub with adjustable footrest, Vibra-Massage and heat for total relaxation and disposable tub liners. Designed with eco-friendly materials. Made in the USA. 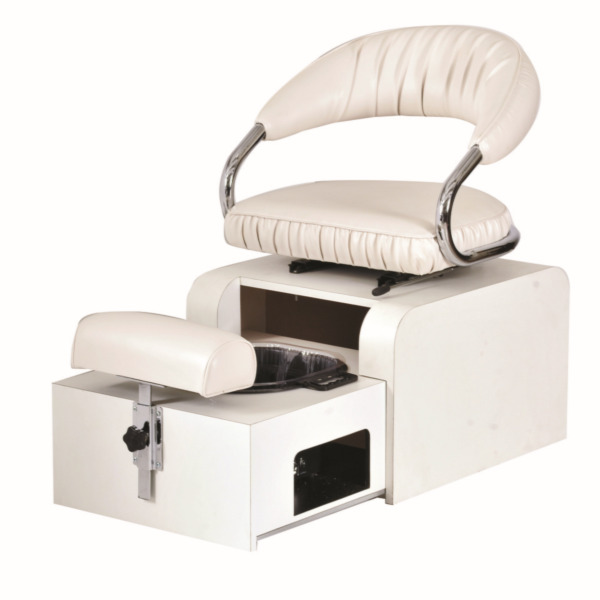 The Vantage VE is equiped with shiatsu back massage system, manicure trays, pipe-less magnetic jet system, a steel frame and single adjustable footrest. The Value Edition(VE) is American made with the quality and detail to give you piece of mind. The Empress LX delivers a top-of-industry spa experience. It features a beautiful resin bowl, shiatsu massage chair top for extreme comfort, premium leather upholstery, and adjustable footrest. The Empress RX has stylish lines to blend in with modern decor, durable construction, performance and reasonable price. It features a shiatsu massage chair top for extreme comfort, premium leather upholstery, Dura Jet Pipeless Whirlpool and adjustable footrest. 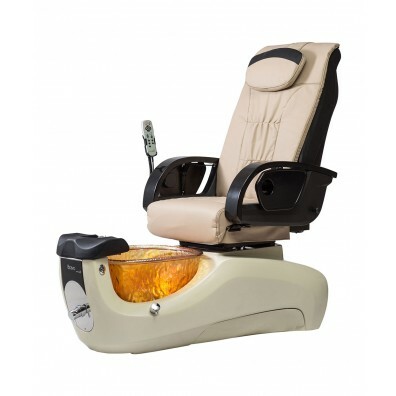 Designed with comfort in mind, Toepia GX pedicure spa features telescopic footrest, pipe-less whirlpool system, technician button, massage remote, fine upholstery and an elegant and durable glass bowl. These features set the Toepia GX apart from other spa chairs. Made in the USA. 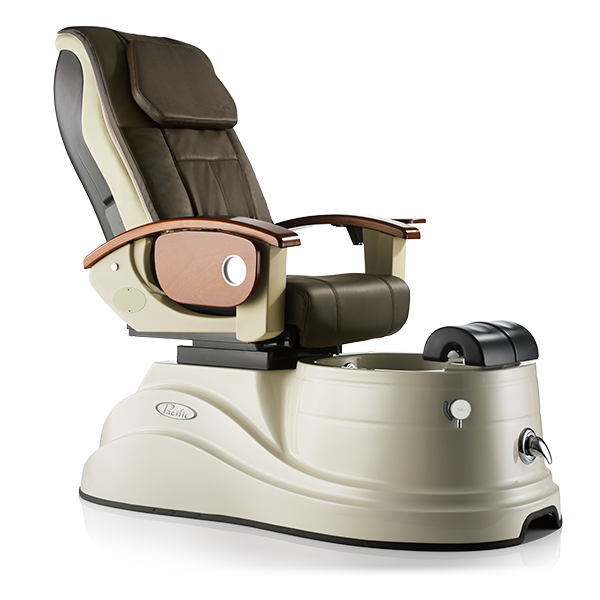 The Cleo GX features a durable and stylish handcrafted fiberglass bowl, shiatsu massage system, fine upholstery and height adjustable footrest. Made in the USA. The Cleo AX pedicure spa delivers the elegant combination of style and function. It is designed with the client's comfort in mind. The premium leather upholstery and full back shiatsu massage will add to the client's luxurious experience. The Pacific AX was created for today's stylish salons and spas. 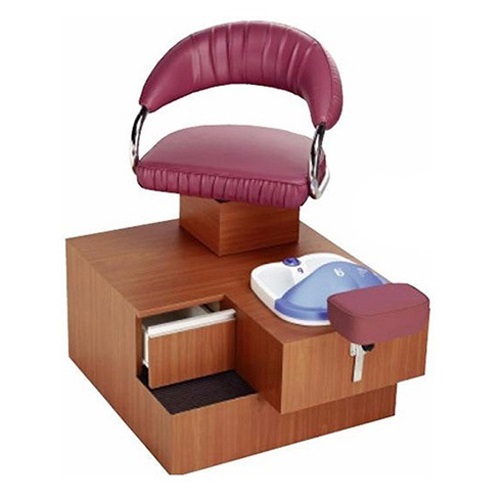 This model features a functional design that enhances the pedicure experience. Made in the USA. This has been designed with an eye for crafted detail and is available in an elegant array of colors. 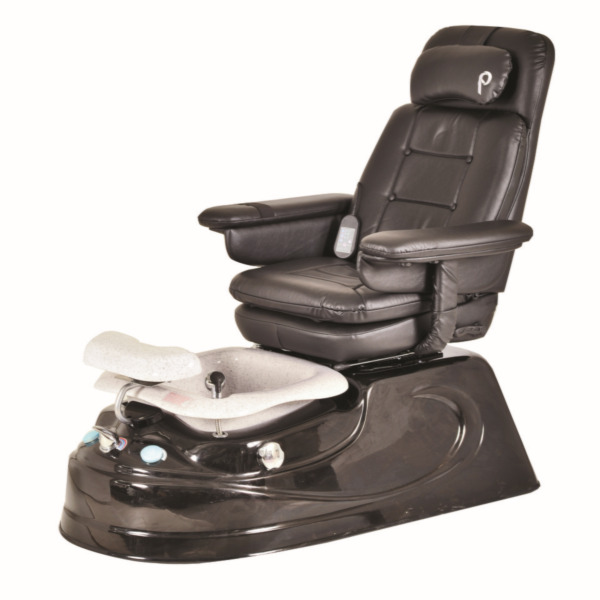 The Pacific MX is a wonderful choice to fulfill your salon and spa needs. Made in the USA. 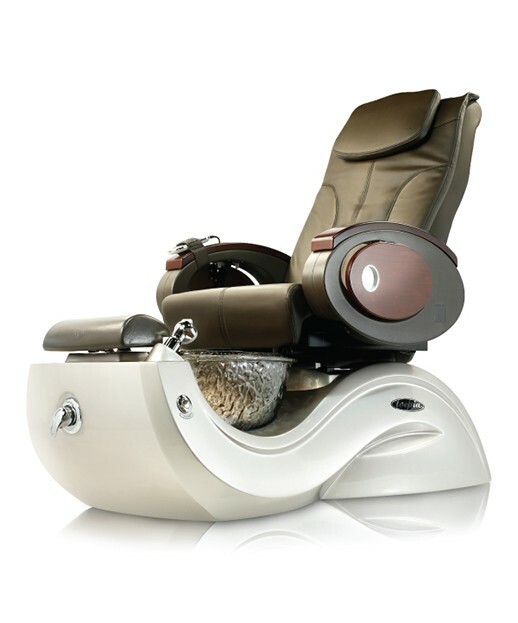 Introducing the Petra RMX pedicure spa: an elegant combination of function and exquisite design. The base has a resemblance of a Chariot, giving it an unique showcase in any spa and salon. Made in the USA. A timeless classic updated for a more contemporary and elegant design. 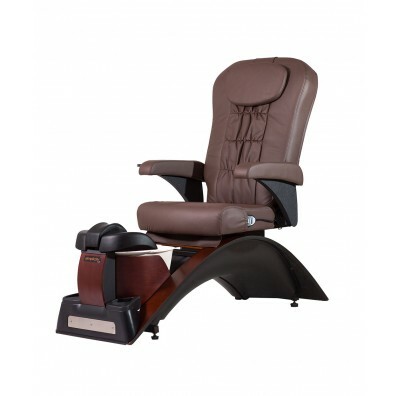 With built-in massage remote, adjustable footrest and an automatic seat slide and recline. Episode LXP was designed with the client's comfort in mind. Made in the USA. Comfort and durability are just a few features of the Episode LX. This timeless classic has been revamped after a decade of solid performance. Made in the USA. A new generation of luxury pedicure chair and the winner of 2017 American Spa Professional's Choice Award. 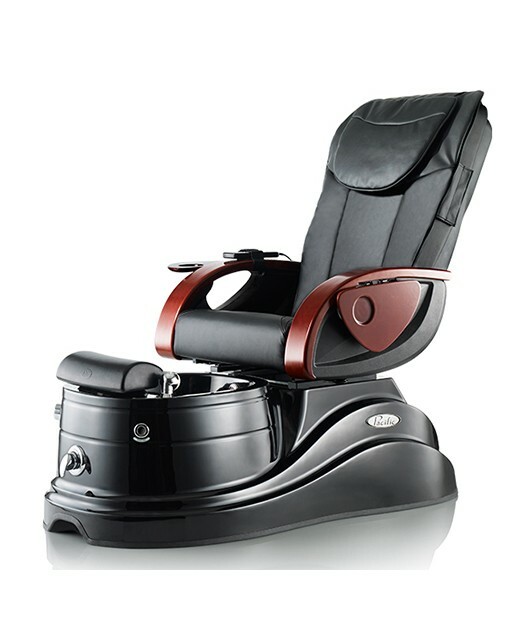 The Lenox LX is designed to deliver an immerse, full-body shiatsu massage. It combines functionality and comfort making it ideal for your spa and salon. 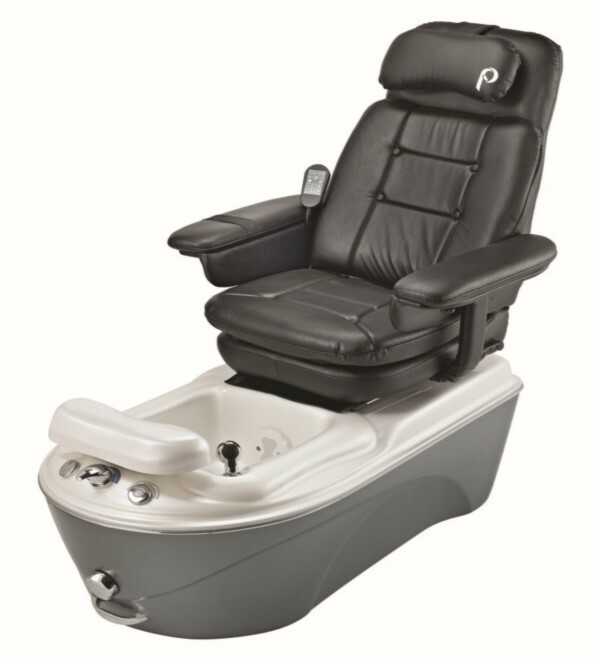 The Pibbs PS65 San Marino pipeless pedicurespa with glassbowl features shiatsu massage top! The chair top is fully electric and moves forward and backward at ease. 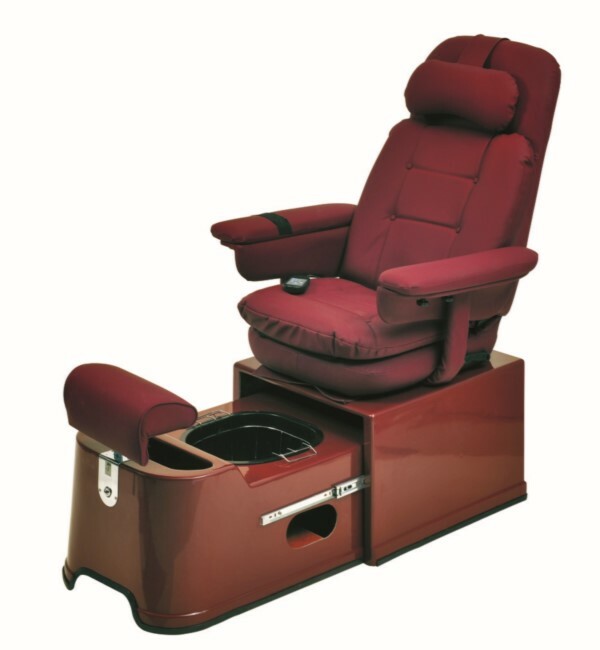 This Pedicure Chair is a pipe-free jet system with removable jets making it very easy to clean. It features a durable glass basin, sleek European design, an overflow drainage system and flexible stainless steel hoses.The black base is made of fiberglass and the glass bowl is the strongest basin option on the market. 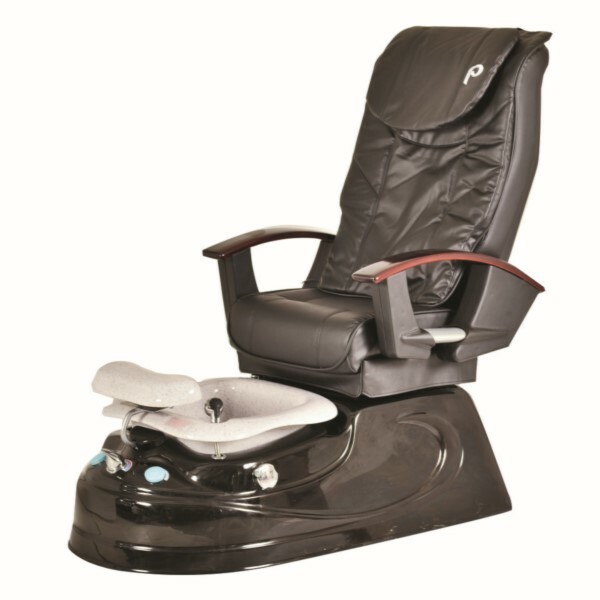 The Pibbs PS 60 Siena pipe free turbo jet pedicure chair is the newest addition to the long standing Pibbs pedicure line. It's designed with client comfort in mind. 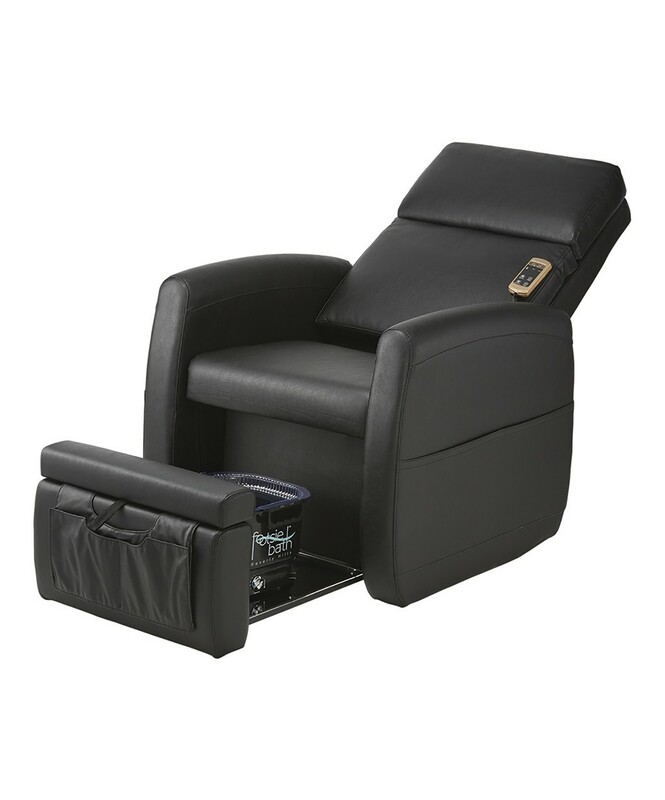 This pedicure chair features a black acrylic base and fully electric sliding and reclining Shiatsu Massage chair top that provides your client deep kneading, tapping and rolling massage functions. It also features an adjustable footrest, retractable spray hose, color changing LED lights and a pipe free turbo jet system with adjustable jet pressure. 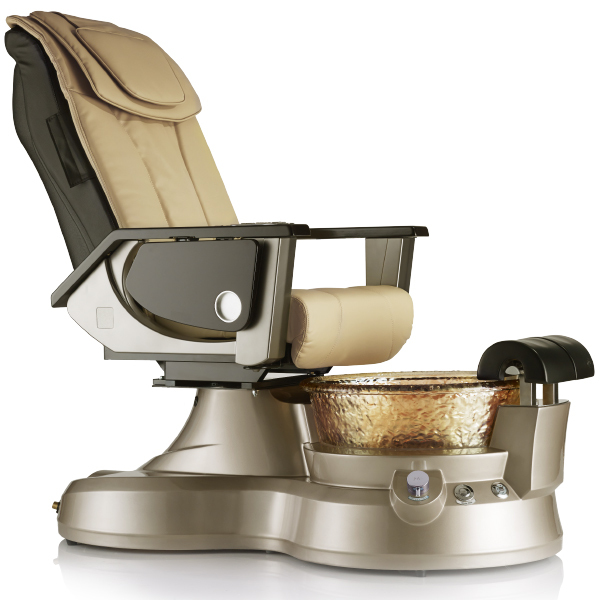 The PS74M Granito pedicure spa features the new pipe-free jet system with removable jets. It features a sleek European design, an overflow drainage system, flexible stainless steel hose and LED lights. The black base is made of fiberglass. The bowl and footrest are hygienic and non-porous. The chair top swivels for easy client access. It also features a sliding and adjustable reclining back with multiple vibration options. 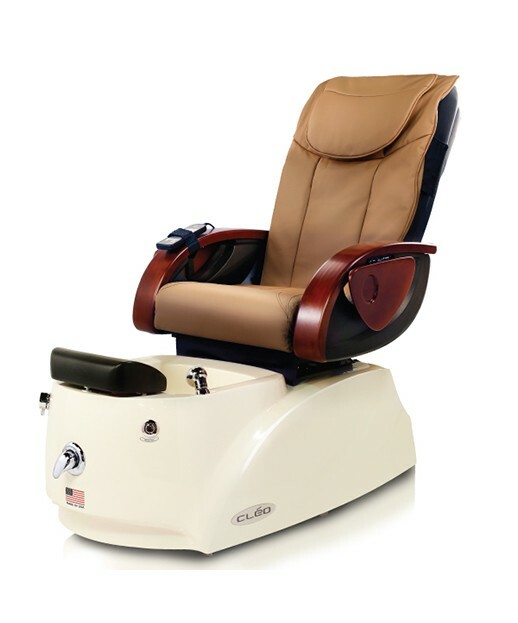 This pedicure chair is a pipe-free jet system with removable jets that are very easy to clean. It features a sleek European design, an overflow drainage system, flexible stainless steel hoses and LED lights. The black base is made of fiberglass. Tthe bowl and footrest are hygienic and non-porous. The chair top is fully electric and moves forward and backward easily and features rolling, punching and kneading Shiatsu Massage. This is Pibbs number 1 selling pedicure chair. It features the new and ultra-sanitary pipeless technology and has removable jets that are extremely for easy cleaning. It also features a sleek European design, an overflow drainage system, flexible stainless steel hose and rotating LED lights. 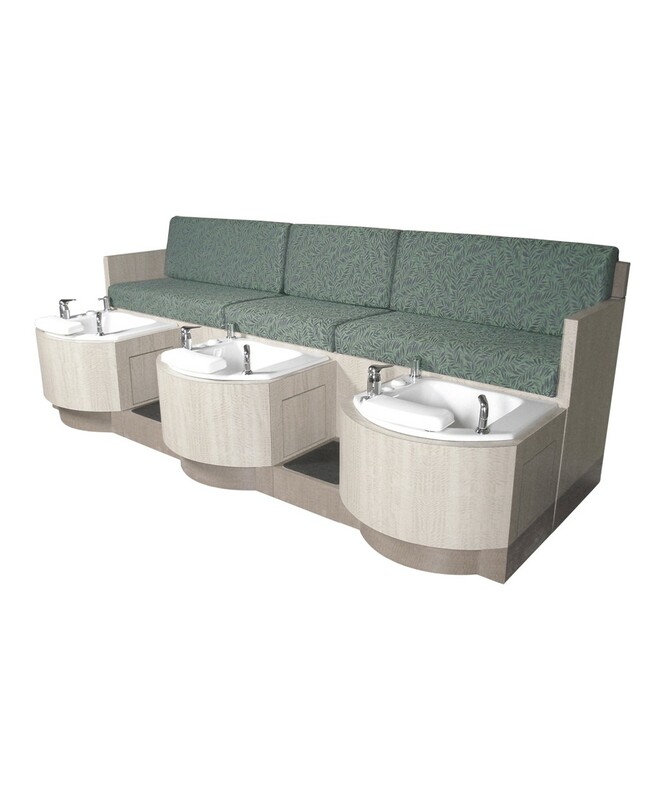 The base and white basin are made of fiberglass reinforced acrylic for durability and longevity. The chair top features a 6 function vibration system for relaxation. 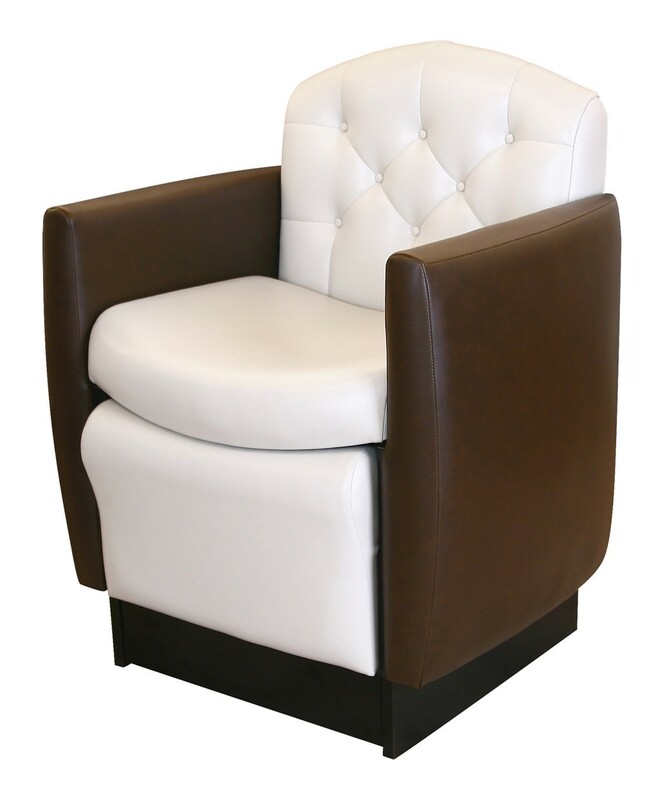 It swivels for easy client access as well as slides and reclines to accommodate clients of any size. 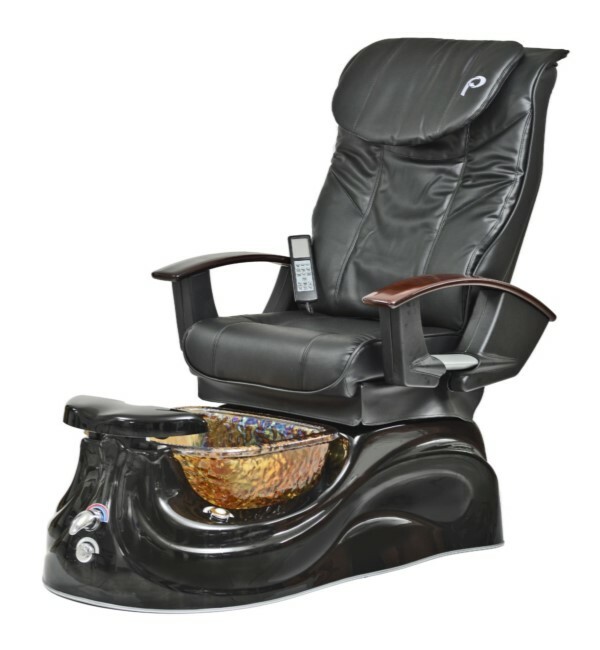 This pedicure chair is pipeless and has removable jets that are easy cleaning. It features a sleek European design, an overflow drainage system, flexible stainless steel hoses and LED lights. The base and white basin are made of fiberglass reinforced acrylic for durability. The chair top is fully electric and features an electric reclining back. The shiatsu massage chair top offers rolling, punching, and kneading massage options. The Pibbs PS96P Carrara is a luxury swivel chair with adjustable reclining back slides forward and back for ultimate comfort. 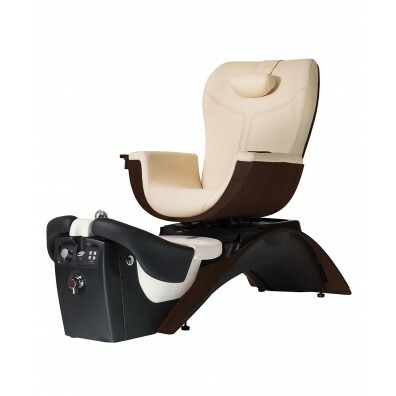 It features shiatsu massage system with 6 vibrations, turbo jet pipe free system and adjustable footrest. It is made of durable fiberglass base with Italian faucet and adjustable footrest. The Pibbs PS77P Venice is a luxury swivel chair with adjustable reclining back slides forward and back for ultimate comfort. 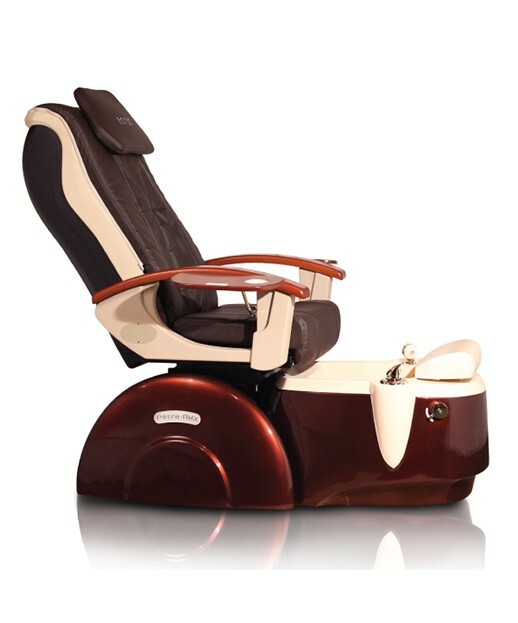 It features shiatsu massage system with 6 vibrations, turbo jet pipe free system and adjustable footrest. It is made of durable fiberglass base with Italian faucet and adjustable footrest. This pedicure chair is pipeless and swivel chair. The shiatsu massage chair top offers full massage system with 6 vibration modes and heat. It features pipe free turbo jet system. 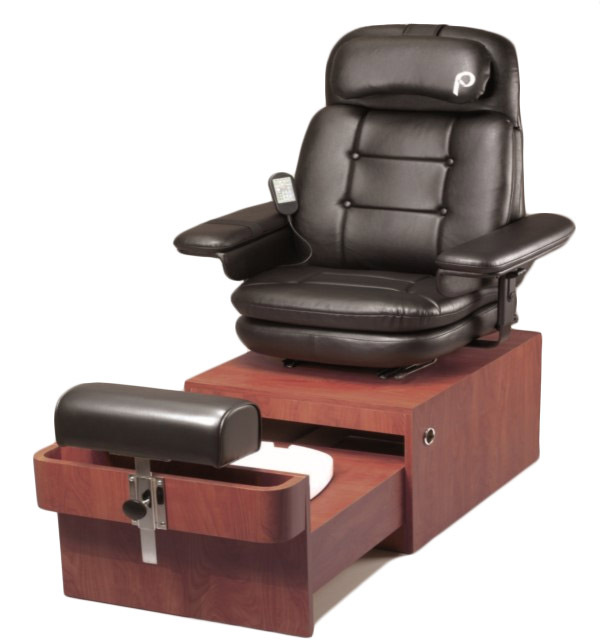 The Pibbs PS71 pedicure chair is a swivel chair. The shiatsu massage chair top offers full massage system with 6 vibration modes. It features adjustable jet pressure and adjustable reclining back. 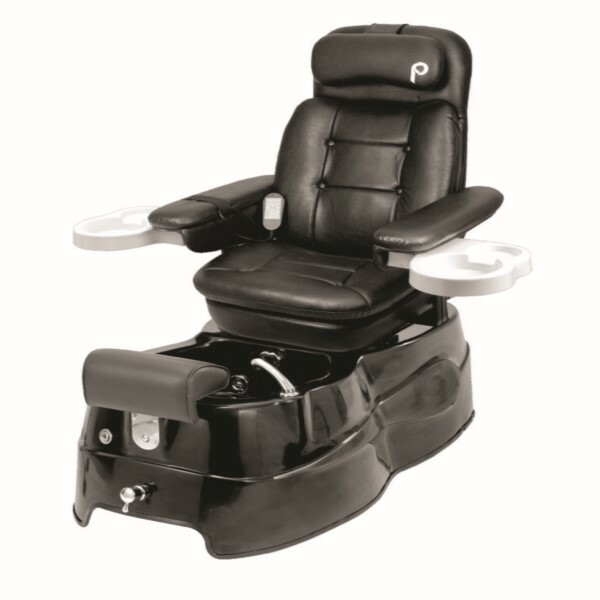 The Pibbs PS9 motorized reclining and vibrating back and seat massage is sure to give your clients a pleasing experience. The double steel construction of the adjustable footrest provides for stability and the retractable platform makes this chair ideal for small spaces. It comes with side storage pouches for your client's items and a storage pouch for the technician's tools. The spacious platform accommodates many foot baths but PIBBS recommends their FOOTSIE BATH. The Pibbs PS86 Cloud Nine features a high quality formica that is easy to clean. It has a spacious storage drawer, adjustable footrest and no plumbing required. 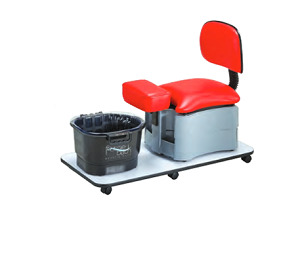 The FM3830A Portable massager footbath is included. This pedicure spa has a stainless steel sink requiring plumbing. 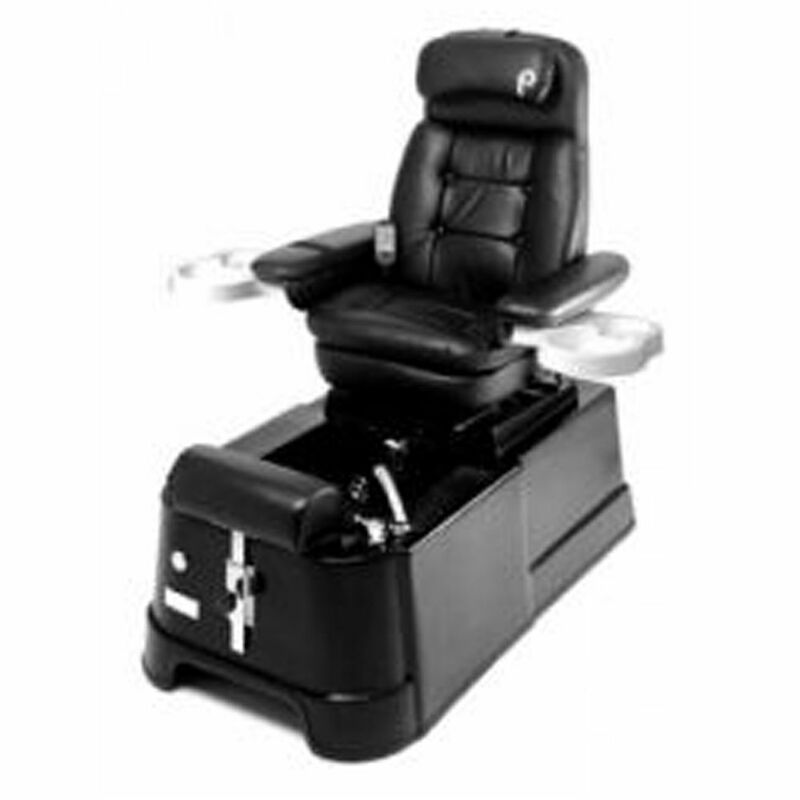 It's luxury massaging chair with reclining top, adjustable footrest and storage drawer. Base standard in wild cherry laminate with black top and footrest. The Pibbs San Remo pedicure spa chair is easy to get in and out of with the chair top swivels 180 degrees and slides backwards and forwards. This chair requires no installation and no plumbing! It is outfitted with the plumb-free Footsie Footbath which features dual heating elements, superior vibration and disposable and ultra-hygienic liners. 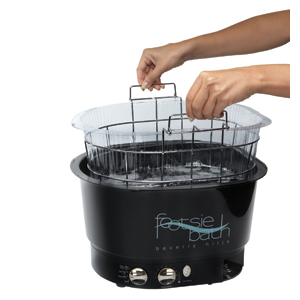 It features a retractable base that conceals the footbath when not in use. It's paired with the Pibbs NC01 San Remo manicuremable sold separately. The Pibbs PS11 Caserta pedicure spa chair has an ergonomic comfotable Cloud Nine chair tha adjusts back and forth and swivels. This chair requires no plumbing and installation! It is outfitted with the plumb-free Footbath FM3858 that is included. It has a retractable base and it is available in laminate colors at an additional cost. 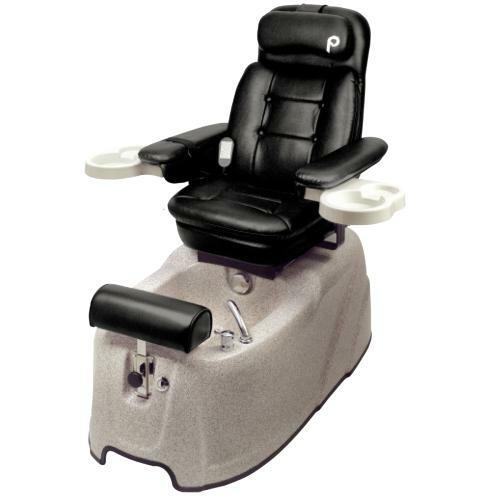 The Pibbs PS12 Torino plumbing free spa is a luxury massaging pedichair. The chair top reclines, adjusts forward and back and swivels! 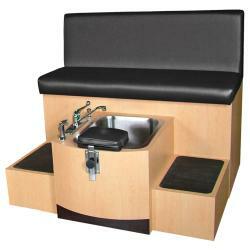 It has a retractable base for the footbath FM3848 which is included. The chair and the footrest is black. The base is shown in Wild Cherry. Other laminate colors available at an additional cost. The Pibbs PS13 Napoli plumbing free spa has a plush comfortable Cosmo chair with adjustable headrest. The chair swivels for easy access and reclines for optimum comfort of your client. It has adjustable matching footrest. It has a hydraulic pump for chair height ajustment and a black metal platform base. Footbath FM3848 is included. Available in Pibbs 34 decorator vinyl colors. 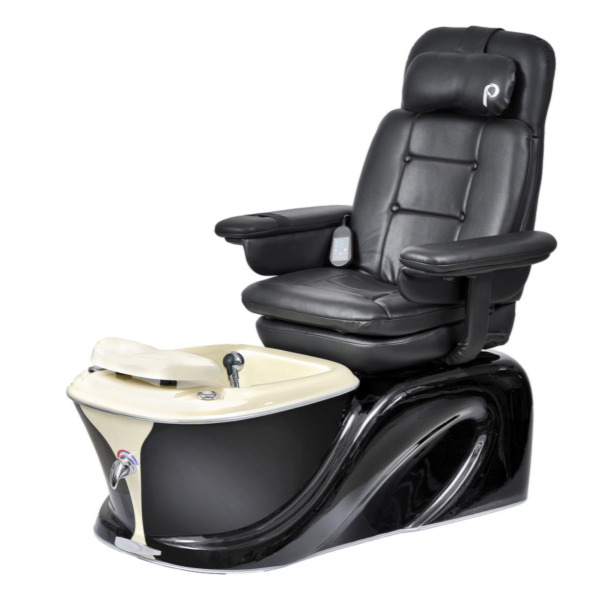 The Pibbs PS88 Sorrento plumbing free spa is a luxury massaging pedichair. The chair top reclines and swivels! 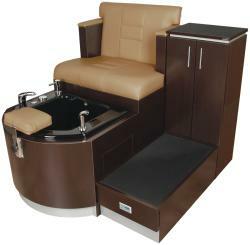 It has a retractable base for the footbath FM3848 which is included. The chair and the footrest is black. The base is shown in Wild Cherry. Other laminate colors available at an additional cost. 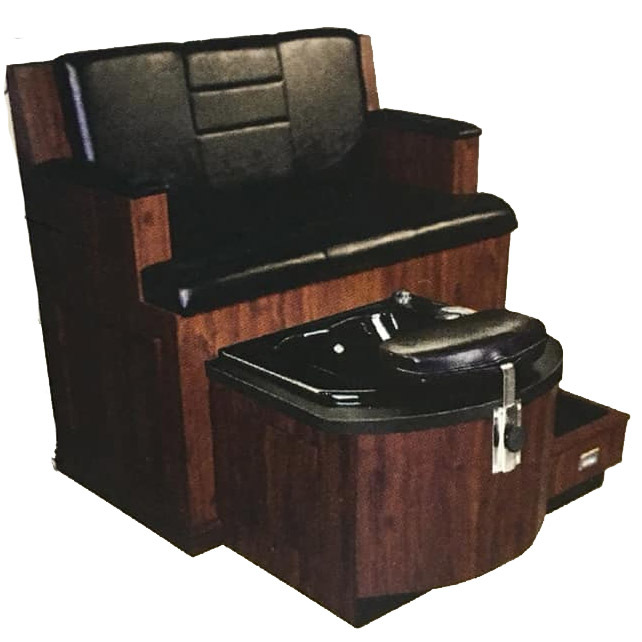 This PS89 Amalfi is a pedicure chair that includes the swivel chair top with massage, adjustable reclining back and includes the portable footbath that requires no plumbing at all. 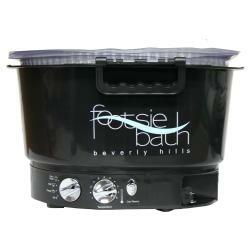 It has a retractable base and the footbath FM3830A is included. It is is shown with the standard black chair top and Wild Cherry Base. Available in other laminate colors at an additional cost. 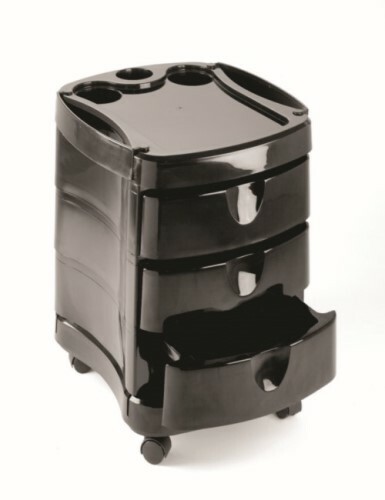 The PS 92 pedichair plumbing free features footsie footbath which is ultra-lightweight, extra deep, has double heating elements and superior vibration. The fiberglass base is retractable for space saving. The FM 3848 has sonic vibrations massage with built-in heater. The heater will keep water and the same temperature. Availble in 2 base colors and multiple color combinations. The PS 93 pedichair plumbing free features footsie footbath which is ultra-lightweight, extra deep, has double heating elements and superior vibration. The fiberglass base is retractable for space saving. The Ps93 features disposable, ultra-hygenic liners with replacement liners and carriers available for purchase. The heater will keep water and the same temperature. Availble in 2 base colors and multiple color combinations. This portable pedicure spa is made of durable fiberglass. 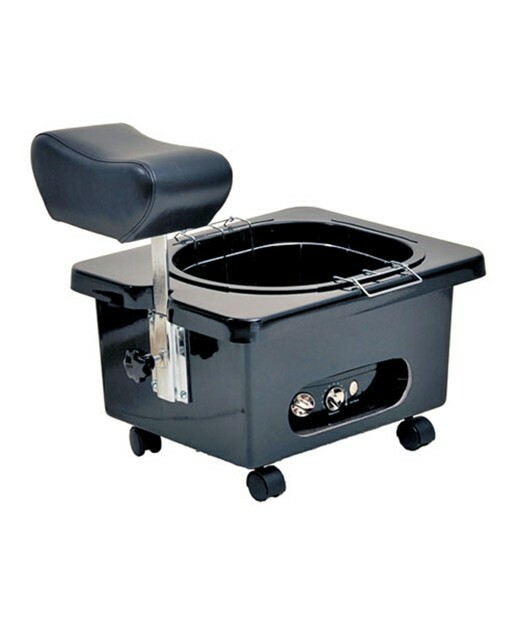 It has adjustable footrest and the FM3848 boot bath tub is included. It fits women's sisze 11 and men's size 10 feet comfortably. It is available in 6 different colors: black, emerald green, ivory, ruby, grey and star blue. This portable pedicart is on casters making easier to move around the salon. It has two storage drawers and the standad upholstery is black with a black base. The seat and the adjustable footrest comes in any Pibbs vinyl color. 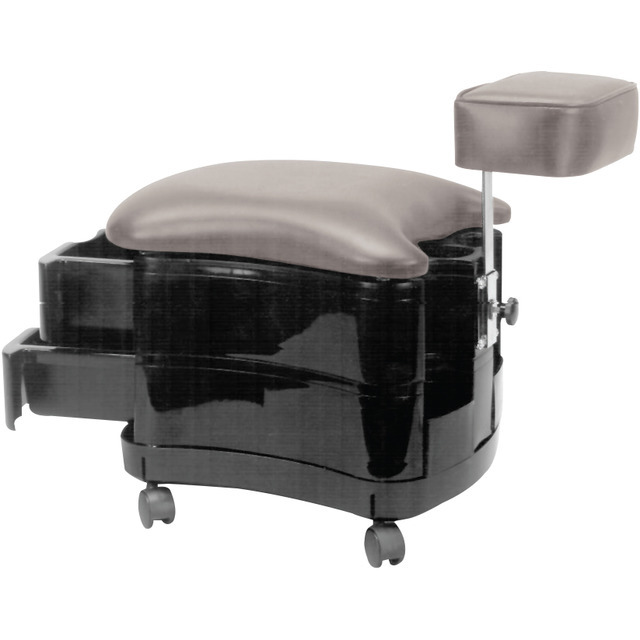 This portable pedicart is on casters making easier to move around the salon. It has two storage drawers and the standad upholstery is black with a black base. The seat and the adjustable footrest comes in any Pibbs vinyl color. Foot bath optional. This portable pedicart is on twin wheels making easier to move around the salon. It has two storage drawers and the standard upholstery is black with a laminate base. The seat and the adjustable footrest comes in any Pibbs vinyl color. Foot bath optional. 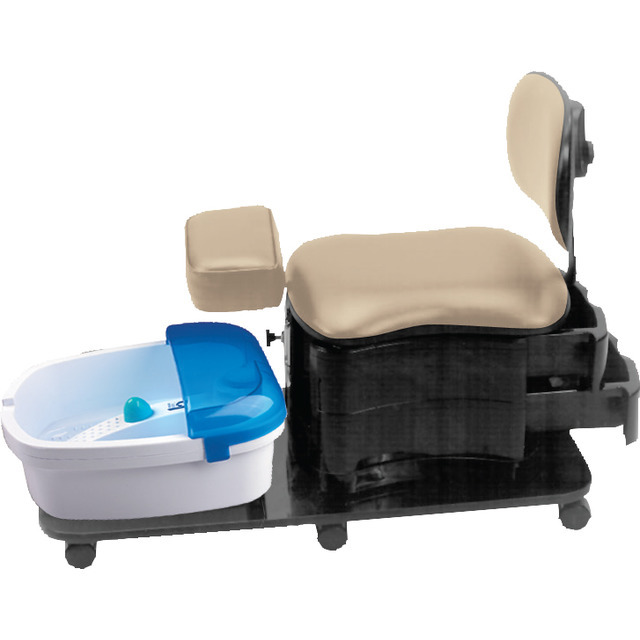 This portable pedicure spa is on twin wheels making easier to move around the salon. The footrest comes with a Wild Cherry laminate base only. The padded and upholstered adjustable footrest comes in any Pibbs vinyl color. The FM3830 foot bath is included. 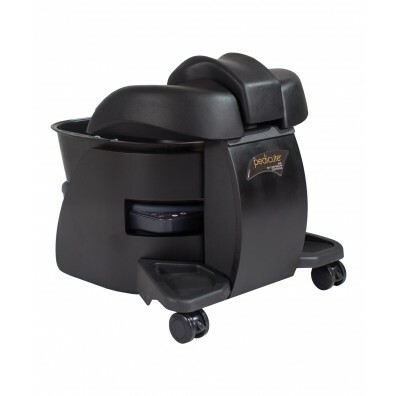 This portable pedicure spa is on twin wheels making easier to move around the salon. It allows the use of disposable liners and fits women's size 11 and men's size 10 feet comfortably. The footrest comes with a Wild Cherry laminate base only. The padded and upholstered adjustable footrest comes in any Pibbs vinyl color. The FM3830 foot bath is included. This portable pedicart is on casters making easier to move around the salon. It has two storage drawers, white laminate and the standad upholstery is black with a chair base in Grye Only. The seat and the adjustable footrest comes in any Pibbs vinyl color. Foot bath optional. 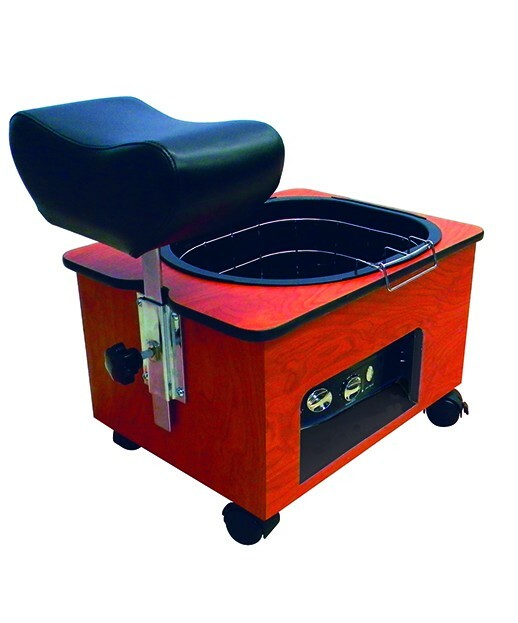 This portable pedicart is on casters making easier to move around the salon. It has two storage drawers and the standard upholstery is available with a chair base in Grye Only. The seat and the adjustable footrest comes in any Pibbs vinyl color. 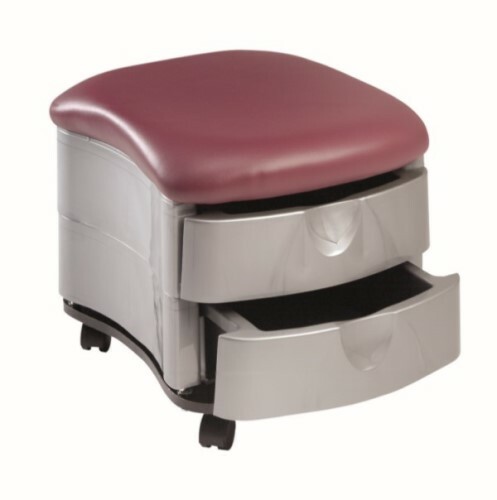 This portable pedicure station has a padded and upholstered seat, two storage drawers, casters for easy mobility in the salon. It is available in the Pibbs inyl upholstery colors. 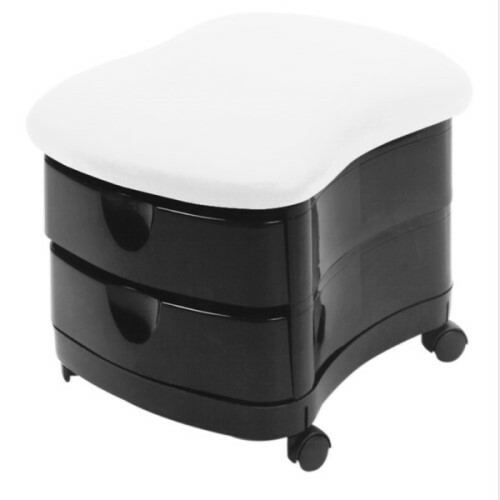 This portable salon pedicure cart has three storage drawers and workspace top. It is on casters making easier to move it around the salon for your clients comfort. Available in silver. 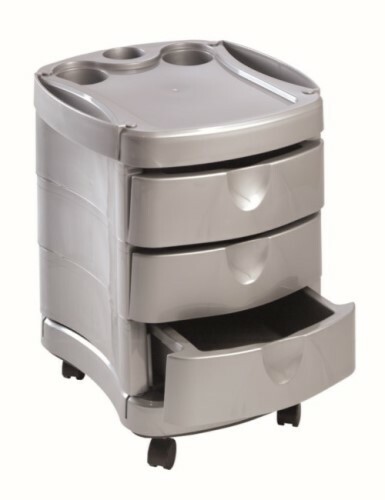 This portable salon pedicure cart has three storage drawers and workspace top. 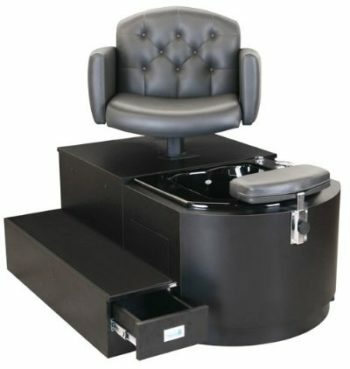 It is on casters making easier to move it around the salon for your clients comfort. Available in black. The AB Atmosphere Footsie Bath Complete comes with a metal basket and 10 liner. It has heat and ultrasonic vibration with four options: OFF, heat, vibrate or vibrate and heat. It also has 6 settings for temperature control. The heater will keep the water at the same temperature as starting for about 30 minutes and then might start to get hotter. 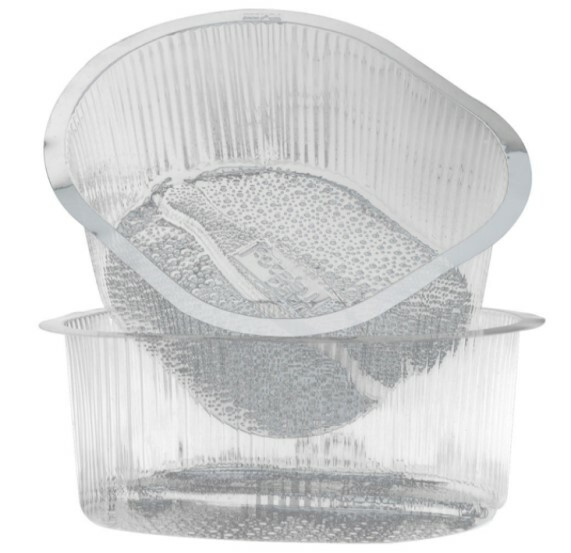 Liner usage is optional and sold separetely. 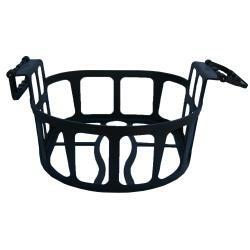 The FM 3847 is a plastic tray for use with the FM3848 Footsie Bath Complete. These are disposable pedicure spa liners for plumbing free spas using FM3848 Footsie Spa. Box of 100. 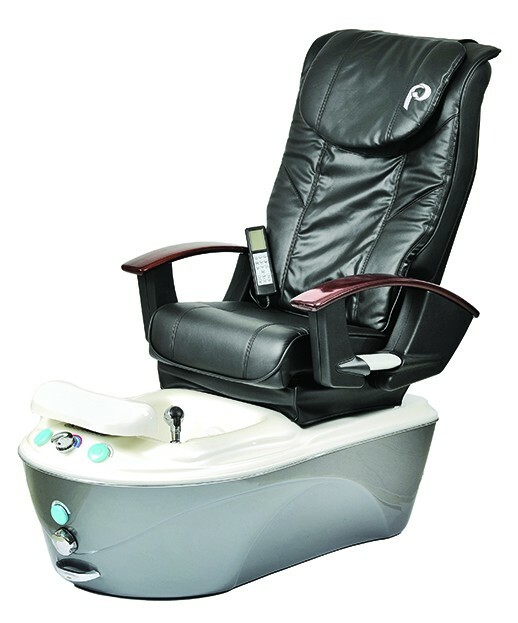 The Pibbs FM3830A Footbath Massager is a pedicure footbath with vibrating massage. If you are using this footbath to replace one of older Pibbs pedicure unit such as a DG104 you mjust purchase an adapter board for the footbath to fit properly. 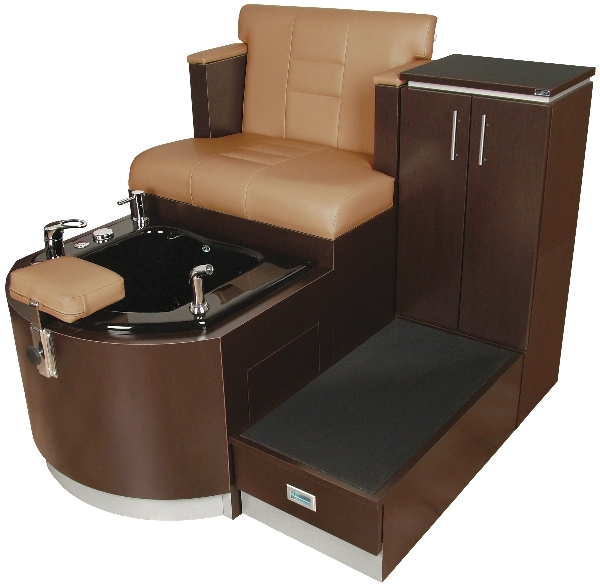 The Ashton pedicure chair has a deep basin of durable acrylic, whirlpool jets, whiz spray for clean up, fill-flush sanitizing system, sink in black and utility drawer. It features an adjsutable-removable foot pad, a swivel Ashton chair and 10 inches entry and exit step. The chair is available in upholstery colors and the base in laminate colors.sink in black and utility drawer. 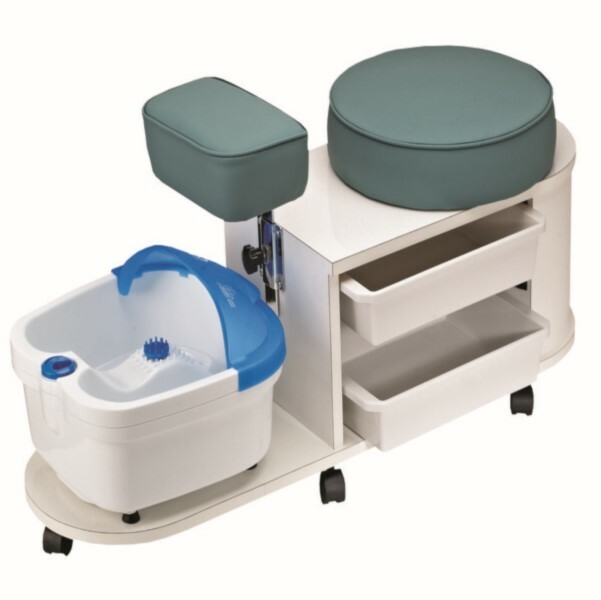 The Kelsey pedicure chair has a deep basin of durable acrylic, whirlpool jets, whiz spray for clean up, fill-flush sanitizing system, sink in black, utility drawer, cabinet storage for supplies, adjustable and removable foot pad and 10 inches entry and exit step. The chair is available in upholstery colors and the base in laminate colors. 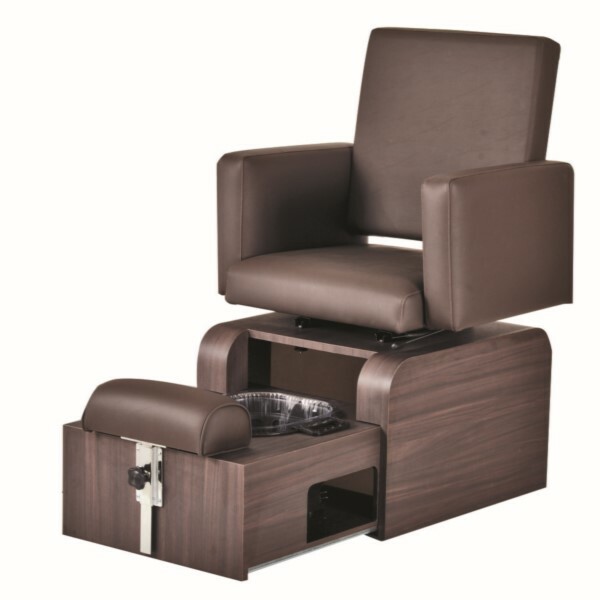 The Bradford pedicure chair is stylish and offers superior quality that is unmatched in the salon equipment industry. It has a deep basin of durable acrylic, whirlpool jets, whiz spray for clean up, fill-flush sanitizing system, sink in black, utility drawer, adjustable and removable foot pad and 10 inches entry and exit step. The chair is available in upholstery colors and the base in laminate colors. This ottoman offers the highest quality and durability that you can find. 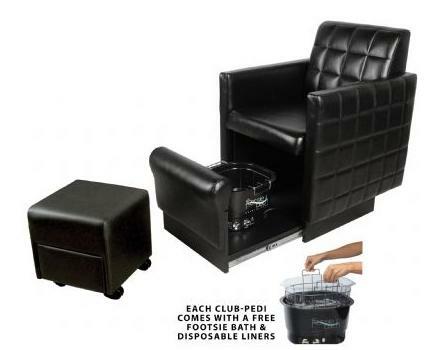 The Club Pedicure Ottoman is fully upholstered and features a drawer for storage. 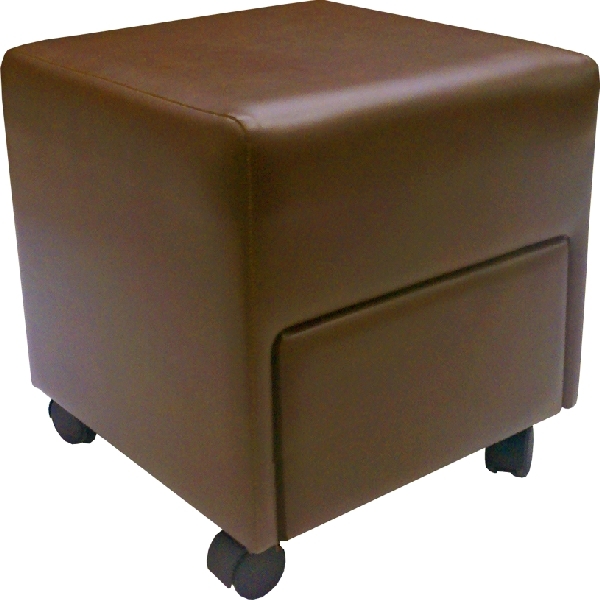 The ottoman is on casters making it easy to move while your clients get in and out of their chair. Available in upholstery colors. The Ashton pedicure chair is perfect! It does not require plumbing, installation, assembly or maintenance. It is so easy to use in minutes after removing it from the packaging. This chair features plush cushioning, padded armrests, a classic button-tuft look on the back cushion and free Footsie Bath. It is very comfortable because it measures an extra-wide 22? between the arms. Available in upholstery colors. Footsie Bath Foot Spa comes with 10 disposable liners. It is a convenient all-in-one pedicure spa. It is ultra-lightweight, durable and requires no installation or plumbing. It features four heat and ultra-sonic vibration control settings: heat and vibrate, heat only, vibrate only and therapeutic soak. It has a 6 inch deep basin and includes a carrier. Retractable power cord. Footsie Bath liners provide a quick and easy clean up so that you can prepare for your next client quickly! 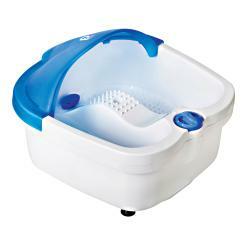 Includes 100 disposable foot bath liners that are compatible with the Footsie Bath Spa. 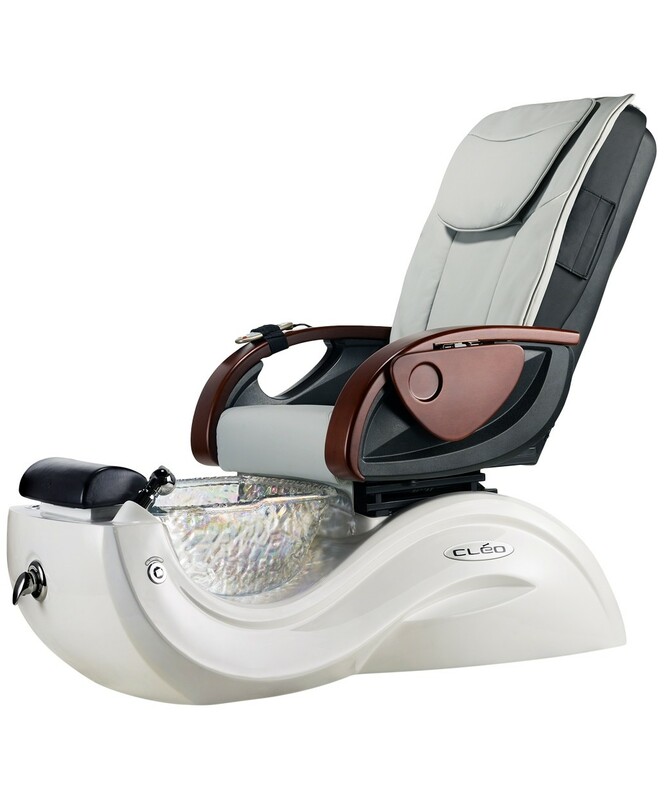 The Cigno pipeless pedicure chair has a 12 inches whirpool tub with removable impellers creating a whirlpool action.It features safefaucet, vaccum breaker, whiz-spray and remotely controlled drain assembly. The comfortable and stylish Cigno chair swivels for an easy The chair is available in upholstery colors and the base in laminate colors. This pedicure chair is stylish and luxurious! It has upholstered front and back. It features a dsign concealing your pedicure bowl or foot spa, if not in use, freeing the chair to be used for other purposes. It does not require installation, assembly nor maintenance. The Nouveau chair is comfortable, wide and has a footrest extending an additional 20 inches. Available in upholstery colors and and optional 10824 Three-Zone Massage and Lumbar Heat. Ottoman order separately. 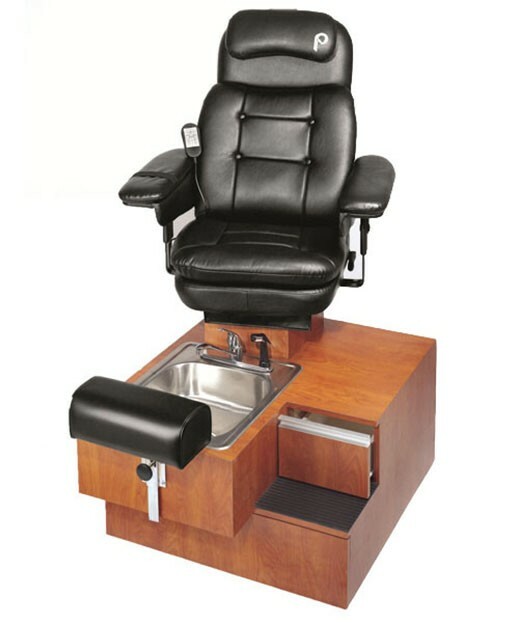 The Kelsey pedicure chair has a deep stainless steel basin, whirlpool jets, whiz spray for clean up, fill-flush sanitizing system, sink in black, utility drawer, cabinet storage for supplies, adjustable and removable foot pad and 10 inches entry and exit step. It does not require plumbing,. The chair is available in upholstery colors and the base in laminate colors. 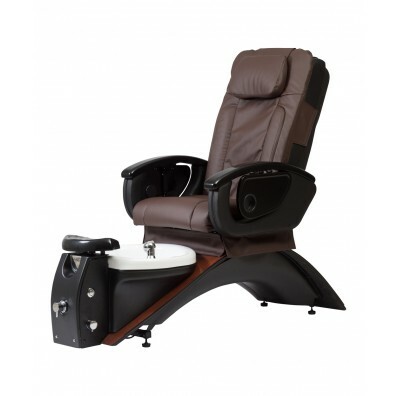 The Cameo pedicure chair has a deep stainless steel basin, whirlpool jets, fixtures with spray hose for easy clean up, adjustable and removable foot pad and twin 10 inches entry and exit step. It does not require plumbing,. The chair is available in upholstery colors and the base in laminate colors.